How you label files can save you time and make it easier to find stuff, especially if you are working on projects that last years! I first picked up this trick from an architect I worked for, she learned it while working in NYC for the design firm Smith-Miller Hawkinson. I have modified it, so its more clear, more American, and less European (sorry guys, your system is great, but no one in America understands it.). We are Month Day Year, not Day Month Year. 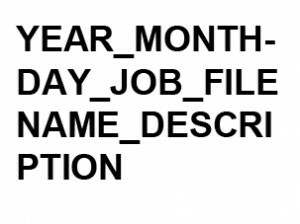 Using this, organizes files by year, and then month, then day. Just like it would be, if you sorted by last modified. I’m not saying that this is the best way EVER, but it certainly helps me. And sometimes, you don’t know what to call a file, so having a system for labeling helps, and the more you label a file, the more you are likely to save that file…..and not have to go back and redo work that you did before, because you saved over something. or something terrible like that. Remember we are naming files, not maiming them. 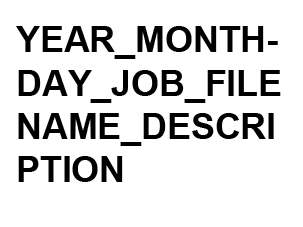 Some architecture firms use confusing billing numbers as project numbers and label files this way. That’s fine, but I think you are asking for trouble. At least they have a system. I think this way makes more sense than calling a project 010467. like the 10,000th project in that office, or maybe not in that office, just the whole firm, which has projects all over the country. you can see how complicated billing and keeping your files straight on a server can be. Now I am sure there are more ways to label and manage files, but this is good especially for my personal use. Especially if you are making several versions off of the same file. Do a save as, and keep adding a description to help you when you come back to it. and remember, SAVE, SAVE, SAVE!!! ctrl+s, or ctrl+shift+s.